Intent on weathering the digital content storm, the city's remaining video stores say they're seeing customers come back as they tire of lacklustre online options. From behind the counter, Daniel Hanna will watch as new people walk into Eyesore Cinema, his video store in Bloordale. They'll take in the limited-run anime, the so-bad-they're-good B-movies, the hard-to-find foreign films. "I get a lot of people who walk through the store and say, 'Wow, this is so cool. I guess I need to go buy a DVD player again,'" he said. Has convenience killed the video store? 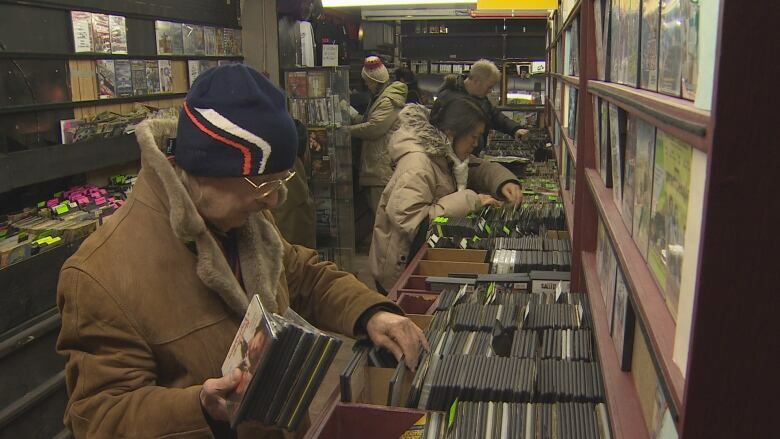 ​Despite the meteoric rise of streaming services, the handful of Toronto video stores that have weathered the storm say they've found new popularity among people fed up with limited online options. "People don't really realize what they're missing … until they're missing it," said Hanna. "Next thing you know, I'm getting a phone call." At the long-running Yorkville shop Bay Street Video, the 2010 arrival of Netflix in Canada hit hard. But about five years ago, manager Mark Hanson noticed customers coming back. "They've gotten to the point where they've exhausted their selection" and are looking to browse Bay Street Video's library of films, he said. "We're actually setting up more new memberships these days than I can even remember in my 10 years here," said Hanson. The slight slackening of interest in Netflix appears to be borne out in the company's own statistics: in July 2018, they reported lower than expected subscriber growth for the first time in five quarters, though they've since rebounded. At Eyesore, things are looking up as well — Hanna says 2017 was his best year since opening up in 2008, thanks in part to a move to a more prominent location. Who opens a video store in 2018? 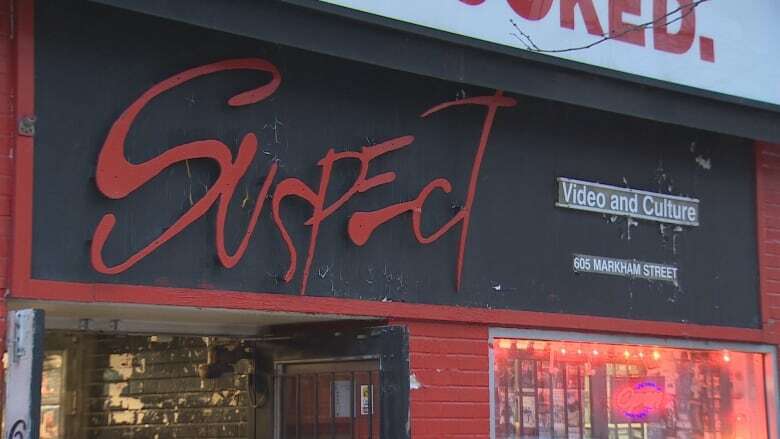 Granted, the onslaught of digital content and rapid gentrification has cut deep into Toronto's once-robust video store scene, knocking out places like Mirvish Village's Suspect Video and Film Buff in Parkdale and Leslieville. Still, there are hopeful signs, like the re-opening of North York's Videoflicks under new owner Billy Bougadis. Previously a Videoflicks customer, Bougadis built his own film collection until he had 25,000 titles packed into two storage lockers. When the longtime owners closed up shop after 37 years, he took the plunge into ownership. Bougadis says it's "malarkey" that video stores aren't necessary anymore, concluding that people crave being together to pick entertainment. That's part of what Toronto's video stores are banking on — that people want to walk over to a video store and pick out something themselves or chat with a staff member. "I think there is an interest that people have in coming into a place and browsing, which I think got lost a little bit just due to convenience," said Hanson. At Eyesore, Hanna says he delights in seeing customers start up conversations with each other about their favourite movies. "There's the community of like-minded individuals," he said. To draw in more of those individuals, shops have also focused on adding new things. At Bay Street Video, it's a huge range of DVD's for sale, making it a destination for collectors. At Videoflicks, it's music and video games. And at Eyesore, it's a busy calendar of movie screenings that fill the back room with people who want to watch 80s anime or Toronto-made independent shorts. To aid in their quest for survival, they've also looked for inspiration from another media comeback kid: the vinyl record. It was Hanna who saw the crowds attracted by Record Store Day — a day that celebrates independent record stores — and decided to try and do the same thing for video stores. "So we set a date and just did it," he said with a laugh. International Video Store Day, held on the third Saturday in October and now in its eighth year, has participants in Canada, the U.S., Europe and elsewhere. On the Video Store Day website Hanna created is a call to arms for stores and customers alike. "Although many of our brothers and sisters had cashed out, laid down or given in, many of us are still here!" it says. "Stores owned and staffed by human beings who can be relied upon for reviews and recommendations and who truly love what they do — otherwise, why else would they still be doing it?"